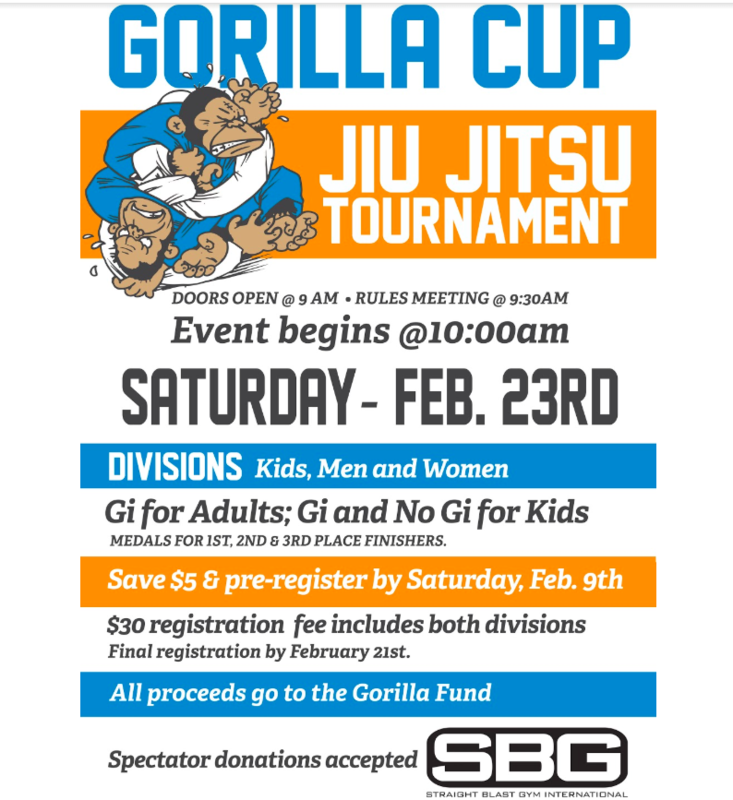 Saturday, February 23rd, will mark SBG Buford’s next installment of the Gorilla Cup! 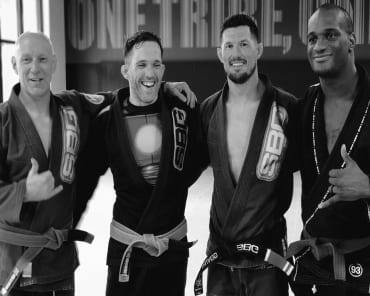 Twice per year, Straight Blast Gym Buford runs an in-house Brazilian Jiu Jitsu tournament for our martial arts athletes. The competition has judges, time keepers, medals for the winners, and everything else that you’d expect at a large martial arts tournament. 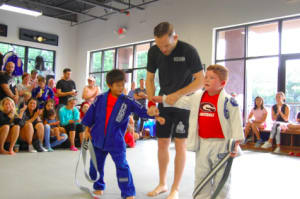 The Gorilla Cup is open to adult and kid martial arts athletes, men and women, young and old. For the kids, registration will include matches in both gi and no-gi. 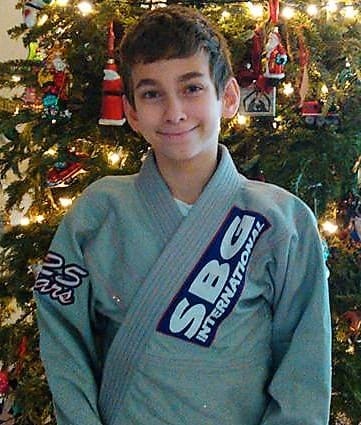 Adult martial artists will compete in the gi. 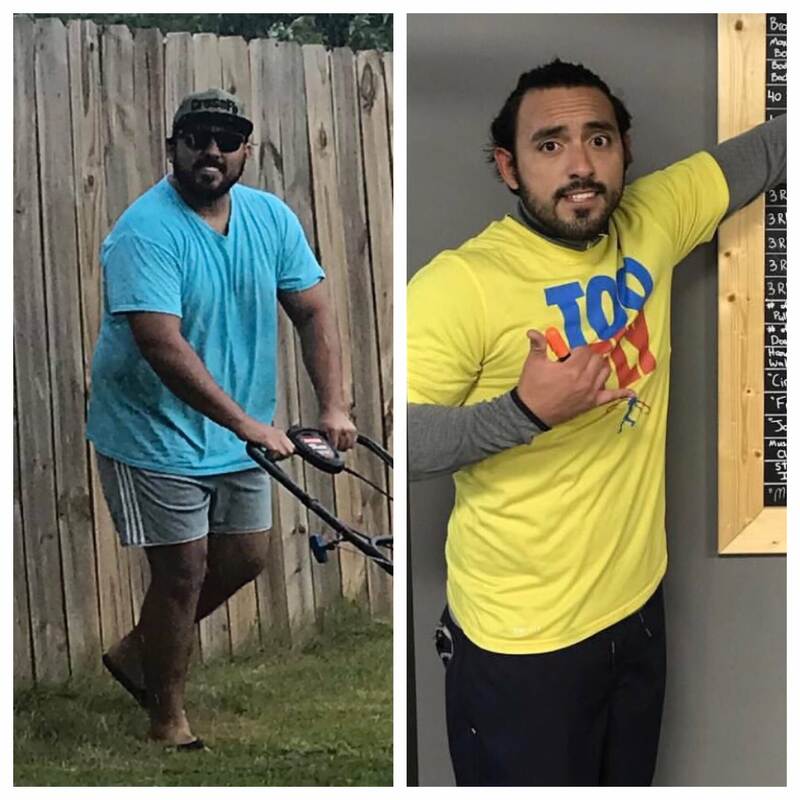 Registration is $30 and must be completed by Thursday, February 21st. But wait….register by Saturday, February 9th and receive $5 off of your Gorilla Cup registration! 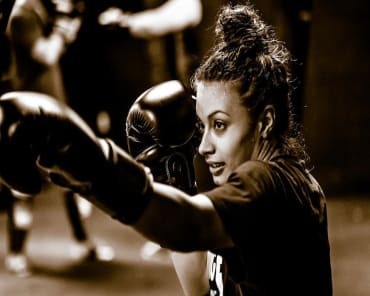 The Gorilla Cup is a fantastic opportunity to get martial arts competition experience at a fraction of the price, and without having to commit a large portion of your day to the event. The first matches begin at 10am, and at our last matches should be wrapping up around 1pm. 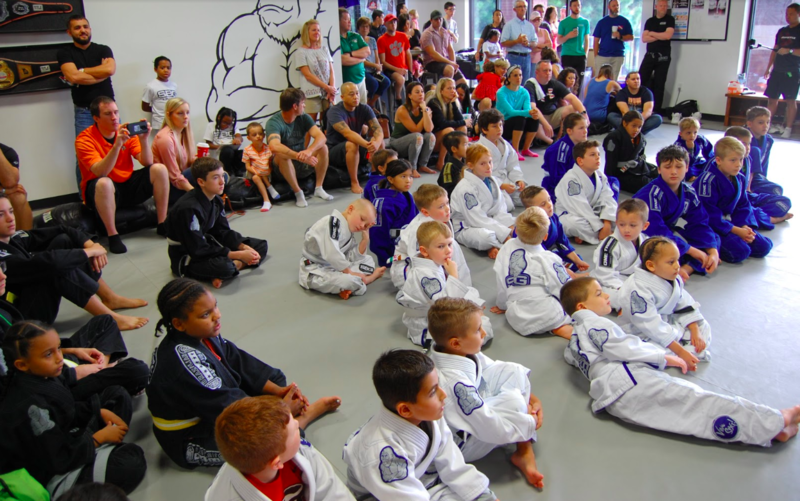 Our last Gorilla Cup had 40+ MARTIAL ARTS ATHLETES COMPETING!! 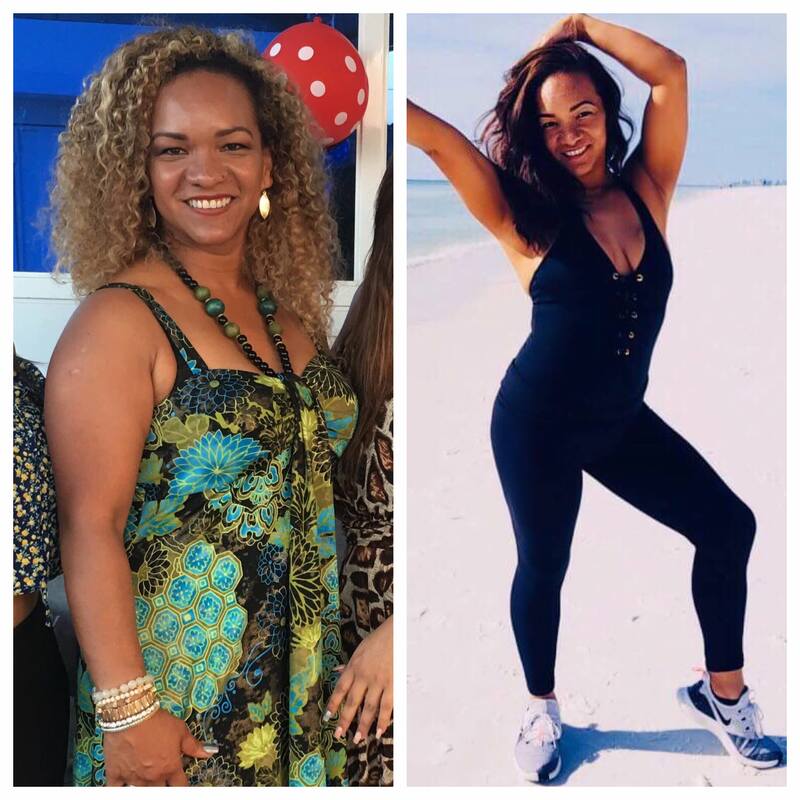 This time, we’re looking to do 50+!! All proceeds from the Gorilla Cup go to the Gorilla Fund. 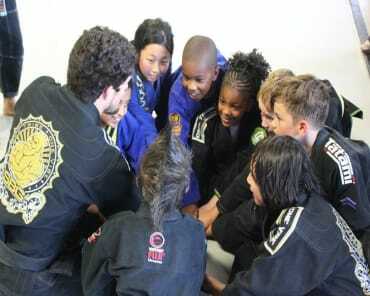 The Gorilla Fund helps fund our martial arts athletes to pay for registrations, licenses, blood work, eye exams, etc. Our last Gorilla Cup netted over $700 for the Gorilla Fund!! Because proceeds go to the Gorilla Fund, this event is cash only. Registration for you or your child can be completed at the front desk with one of our shift managers.